With a busy life as a grocery store owner and single dad, Pascal Ouellette’s large, single-family home isn’t practical for him anymore. The 43-year-old Oshawa man wanted a housing option with less maintenance that was attractive and modern, and close to his Whitby store. 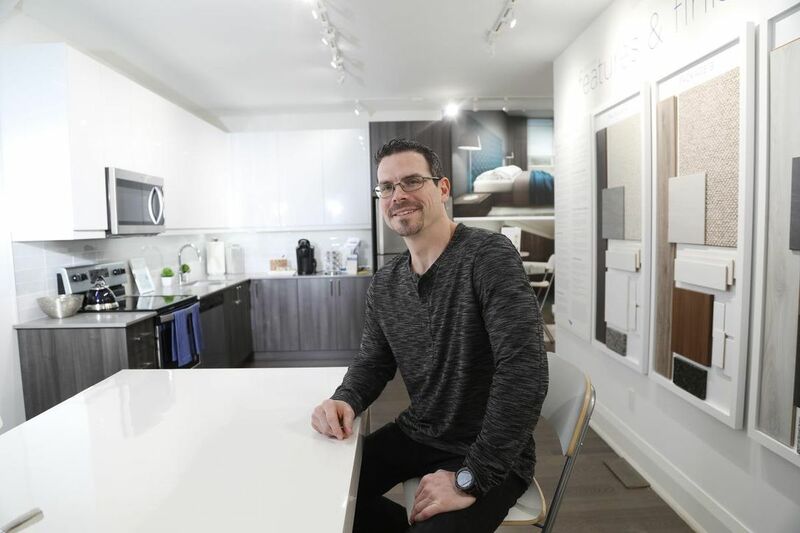 He found what he was looking for in a two-bedroom, 760-square-foot suite in Harbour Ten10 condominiums in the heart of Whitby — he’ll move into the midrise building in the fall of 2020. 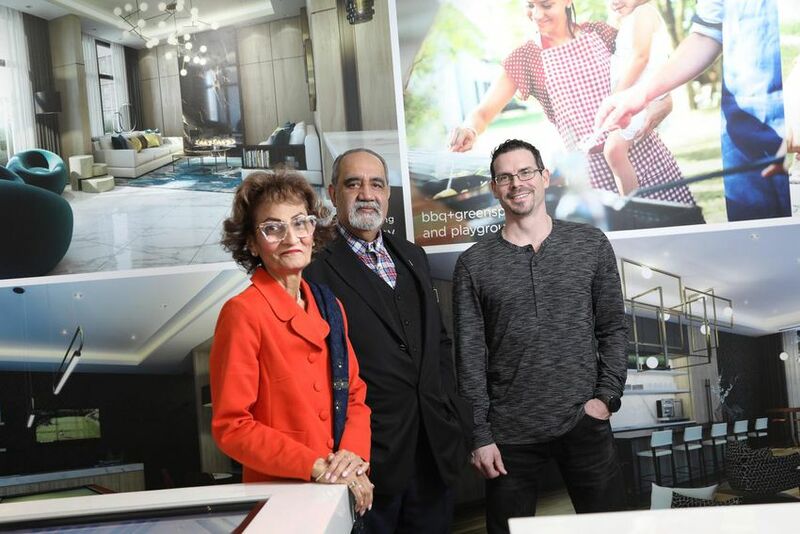 Mona Bhamani, president of Castle Group Developments, says Harbour Ten10 will cater to people like Ouellette looking to downsize, as well as to first-time buyers and families. 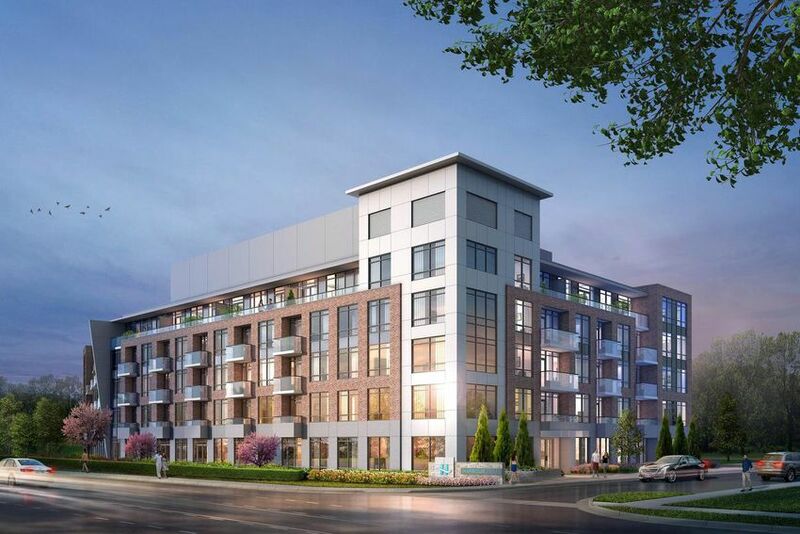 It’s the 10th GTA project for her company — with a portfolio including Vida at Bayview Village, The Palm in North York, Bellair Gardens in York Mills and Tuscany Gates in Mississauga — and is Castle Group’s first in the GTA east. “Whitby is ideal for us,” says Bhamani, citing its abundance of green space, transit and amenities. Harbour Ten10 takes its name from its address, at 1010 Dundas St. E. — and also because so many key features are 10 minutes or less away, including the Waterfront Trail, Port Whitby Marina, GO station, big box stores, Durham College and the University of Ontario Institute of Technology, Whitby Public Library, the town’s historic downtown, and Iroquois Park Sports Centre, Canada’s largest municipally owned and operated recreation facility. Highways 401, 407 and 412 are also minutes away. Bhamani, who trained as an architect, says Harbour Ten10 features an elevated standard of design and amenities, as her company intends for it to be a flagship project for the town. There are few new condominiums in the area and this is curently the only one in central Whitby. Castle Group has held seminars to explain concepts, such as maintenance fees, to local buyers unfamiliar with the concept of condominium living. “We believe in a patient approach and want to make sure all the buyers’ questions are answered,” Bhamani says. About one-third of the 110 units have been sold. Whitby Mayor Don Mitchell says Harbour Ten10 fits with the council’s vision for the town, and the transformation of its downtown. One of the main endeavours underway is the Brock Street Brewery, a landmark building close to completion. The three-storey complex will bring a 17,000-square-foot craft beer production facility, sampling bar and banquet facility to the corner of Brock and Dunlop Sts. Across from it on a former firehall site will be Station 3, a mixed-use project to launch later in 2019 that will create 10,000-square-feet of new retail space and 150 residential units. Mitchell is also excited about the new Whitby Innovation Hub that will attract start-up tech and innovation companies. He says the vision for Whitby is to move beyond its reputation as a bedroom community and to foster more business and commercial growth to keep pace with residential growth. Whitby is one of the fastest-growing communities in Canada. Mitchell says having more people moving in and close to downtown, such as at Harbour Ten10, are key to supporting its businesses and services. The town plans to improve walkability with better pedestrian crossings at four major streets downtown.